In 1895, John Paterson founded his bakery in the Royal Burgh of Rutherglen, Scotland, where he sold his shortbread from a horse-drawn van. Now, we've coupled the nation's favourite shortbread, made with fresh double cream from the nearby Pentland Hills, with delicious strawberry jam from idyllic Isle of Arran, to create a uniquely Scottish treat. Why not try these other packs in the Paterson's family? 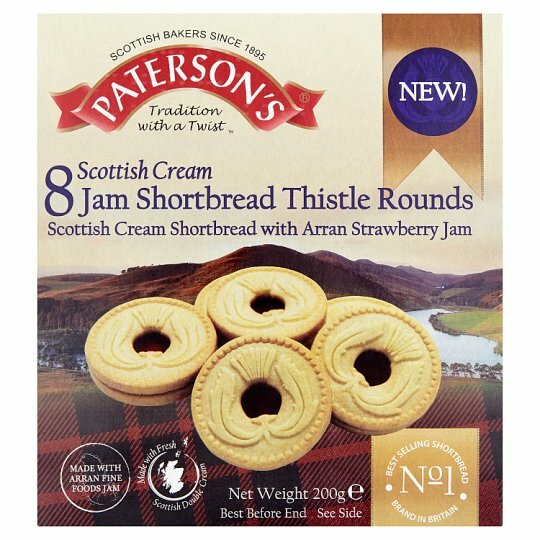 We'd love to hear what you think of our Jam Shortbread Thistle Rounds.